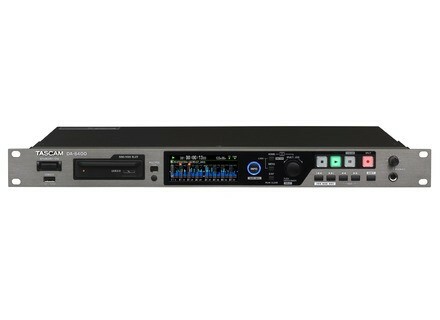 DA-6400, Digital Multitrack Recorder/DtD from Tascam. Tascam presents its DA-6400 64-track Solid State Recorder with MADI and Dante I/O Option Cards. TASCAM’s DA-6400 is an all-new 64-track recorder that records to an internal SSD drive caddy for live and event recording. Professional I/O options like MADI and DANTE make it suited for live recording, event capture, or as a backup for critical DAW sessions. It is available with a single or dual/redundant power supply. The DA-6400 records 64 tracks at 48kHz/24-bit or 32 tracks at 96kHz/24-bit. Included on the rear panel are SMPTE timecode, word clock, RS-422, parallel and Ethernet connections. More details at the DA-6400 product page. Until November 1, you can also visit Tascam at the AES 2015 Convention, boot 118. [AES] Chandler Limited RS124 Today, Chandler Limited launches the Abbey Road RS124 tube compressor, to begin shipping mid November 2015. Neumann launches KH 805 active studio subwoofer Neumann presents the KH 805, a new active subwoofer expanding the brand's range of studio monitoring products. EVE Audio's SC203 are now shipping EVE Audio has begun shipping their smallest loudspeaker SC203.